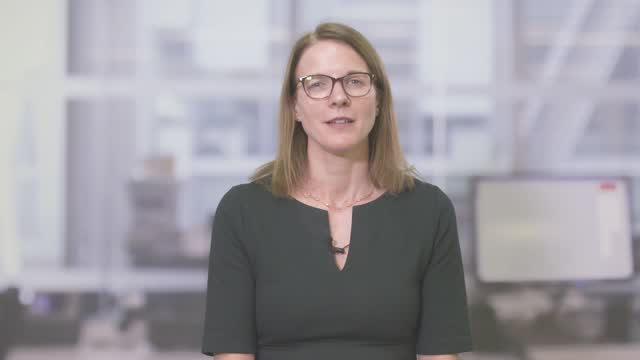 Watch highlights from our latest Janus Henderson Global Dividend Index (#JHGDI) report featuring Jane Shoemake, Global Equity Income Investment Director. On 4th April at 15:00 CET Andrew Gillan, Head of Asia ex-Japan Equities, will be presenting a webcast on Asia’s dynamic investment market and how the Janus Henderson Asian Growth strategy is positioned as it seeks to benefit from the region’s long-term growth opportunities. Following the recent rally in Asia ex-Japan equities, Andrew will discuss the drivers of improved sentiment in the region, the factors needed for continued strong performance and the key risks investors should be aware of. On 19th March at 15:00 CET, Fund Manager Jeremiah Buckley will be discussing the Janus Henderson Balanced Fund – a dynamically managed, US-focussed blend of equities and bonds, with over €21bn strategy AuM (as at 31 December 2018). With the fund now in its 21st year, Jeremiah will give a re-cap on the team, process and performance, and where they are currently identifying the best risk-adjusted opportunities across the corporate capital structure. On 26th February at 15:00 CET, Fund Manager Steve Johnstone will be holding a webcast on the Janus Henderson Global Equity Market Neutral strategy. With the strategy approaching its 2-year anniversary, Steve will give a re-cap on its aims and investment process, as well as discuss performance drivers and improvements to the manager line-up. On 15 February 2019 at 15:00 CET, James Ross, Co-Manager of the Janus Henderson Horizon Pan European Equity Fund, will deliver the latest update on his quality growth European equities strategy. As part of his presentation, James will provide an overview of the current market backdrop, and the prospects for better quality, more defensive stocks in 2019. Volatility is one of the few things we can be sure of in stock markets, and it certainly seems to be back with a vengeance since October of last year. The fact that stock prices and markets move around is a given, but interpreting the fundamental macro or micro-economic drivers of that volatility is more challenging. But is this really necessary? And indeed, is volatility something to be feared, to be eradicated wherever possible? Since volatility is itself volatile, should we always try to hide from it or are there times we can harness it as a useful indicator and a source of return? Can portfolios that adapt their risk exposure based on current volatility in the market be more efficient than simply allocating between low volatility and core equity strategies? 2018 proved to be quite a turbulent year from the start with the volatility in the markets continuing into the year end, culminating in a very negative end to the year for risk assets. How did the Multi Asset Credit Fund (MAC) fare in such an environment? How did the underlying asset classes perform? Given the Q4 2018 repricing in the markets, is it time to add yield into the portfolio? What does 2019 hold in store for fixed income investors? In this webcast, Head of Secured Credit, Colin Fleury, and Head of Loans, David Milward, portfolio managers of the fund will address these issues, explaining their asset allocation preferences while sharing their thoughts on the markets. The webcast session will also include a review of the performance of the fund and a summary of current positioning. • Performance update and outlook. The Benchmark administrator, MSCI Limited, restructured the Benchmark on 30 November 2018, meaning the constituents of the Benchmark will change with the reclassification of certain companies in it to another benchmark. As a result, the Management Company and the Investment Manager have jointly concluded that the Benchmark will no longer be appropriate for the calculation of the Performance Fee going forward and may be potentially disadvantageous to Shareholders. Accordingly, in advance of being able to identify a more appropriate benchmark for the Performance Fee calculation, the Management Company and the Investment Manager will waive any Performance Fees that may accrue and be payable for the Share Classes as of 1 December 2018 until further notice. On 24 January 2019 at 15:00 CET, Nick Sheridan, manager of the Janus Henderson Horizon Euroland Fund, will deliver the latest update on his value-biased investment strategy, summarising performance and positioning, and his thoughts on the prospects for Euroland equities as we move into 2019. Fund Manager Luke Newman will host a Q&A webcast for the Janus Henderson UK Absolute Return strategy. The ‘Question Time’ format allows investors to raise topics in advance of the call. It will also be possible to submit questions during the webcast. Steve Weeple, Portfolio Manager on the Edinburgh-based Janus Henderson Global Equities Team, will discuss the team’s approach to identifying high-quality companies. As long-term investors, the team are always looking to invest in companies that are well placed to demonstrate resilience through the economic cycle, or in the face of unforeseen events. Gaining this conviction comes down to a deep understanding of the characteristics that a company and its management exhibit over time. Steve will discuss several of the holdings in the portfolio from this perspective. John Pattullo, John Bennett and Ben Lofthouse. John Pattullo (fixed income), John Bennett (European equities) and Ben Lofthouse (global equity income), in an informal fireside chat format, discuss lessons learned from 2018 and what they expect from the coming year. Bringing with them strong opinions and a wealth of experience, the three explore where we go from here and what it means from their different investment perspectives. • How late cycle are we? • Is it time to sell tech? • What are the prospects for Europe? • What have we learned from market moves in 2018? Please note this is intended for UK and European professional investors only. It is not for use by journalists. For press comment please contact your local Janus Henderson PR representative. Mixed economic data, coupled with monetary tightening, has pushed spreads and yields higher, yet labour markets remain strong and expectations are that economic growth will hold up in 2019. Identifying those credits that can stay the course and avoid those that stumble is critical. In this webcast, Tom Ross, Seth Meyer and Thomas Hanson, high yield portfolio managers at Janus Henderson Investors, explain where we are in the credit cycle and how a bottom-up process of fundamental analysis combined with managing beta through a robust risk-budgeting process can help an investor keep their footing. With numerous uncertainties in the global economy, many market participants will be looking for meaningful signals about what’s to come in 2019. Here, Janus Henderson’s portfolio managers explain the themes they believe could dominate markets in the months ahead. Please visit our website to view all of the outlooks.